Welcome to Mentor for Bank Exams. Today we are sharing the Monthly Current Affairs PDF November 2018. This PDF contains all the important Current Affairs from November 2018 in details. Welcome to Mentor for Bank Exams. Here is the All in One PDF being provided by us that incorporates the links to all the important updates that are posted on Mentor for Bank Exam throughout the day. Every single post is crucial for the banking aspirants throughout the country. Through this PDF, we ensure that you do not miss out any of the important updates that include English Quizzes, Quant Quizzes, Reasoning Quizzes, General Awareness Quizzes, Banking Awareness Quizzes, Current Affair Quizzes, Computer Quizzes on important topics of all the subjects, and much more for IBPS PO and Clerk, SBI PO and Clerk, RRB PO and Office Assistant, RBI Grade B Officer, Assistant and Attendant, and every other Banking Examination. Welcome to Mentor for Bank Exams. 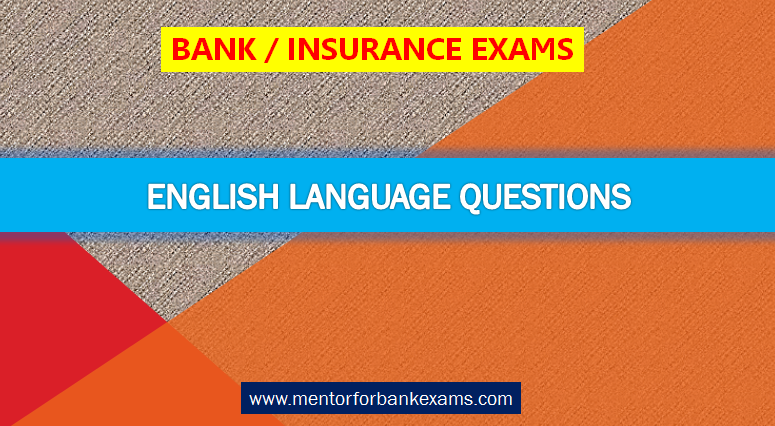 Here is the English Lanugage Quiz to help you practice with the best of latest pattern questions for the upcoming IBPS PO, IBPS Clerk and other bank and Insurance Exams. Welcome to Mentor for Bank Exams. Here is the Reasoning Ability Quiz to help you practice with the best of latest pattern questions for the upcoming IBPS PO, IBPS Clerk and other bank and Insurance Exams. Welcome to Mentor for Bank Exams. 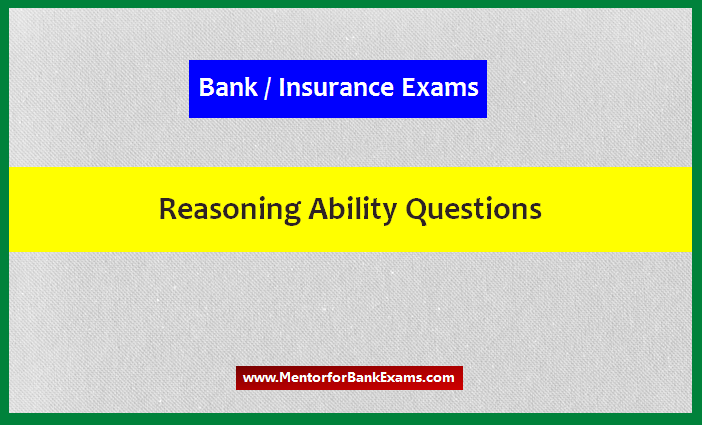 Here is the Quantitative Aptitude Quiz to help you practice with the best of latest pattern questions for the upcoming IBPS PO, IBPS Clerk and other bank and Insurance Exams. 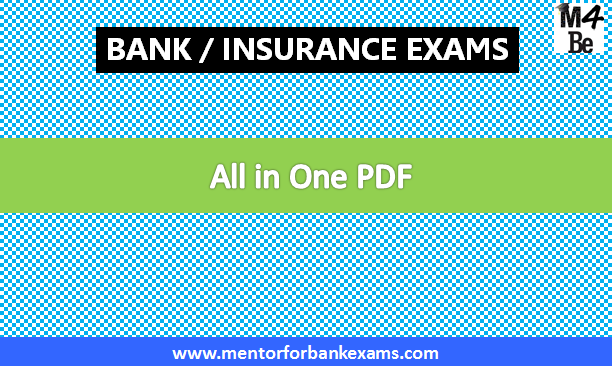 Here is the All in One PDF being provided by us that incorporates the links to all the important updates that are posted on Mentor for Bank Exam throughout the day. Every single post is crucial for the banking aspirants throughout the country. Welcome to Mentor for Bank Exams. 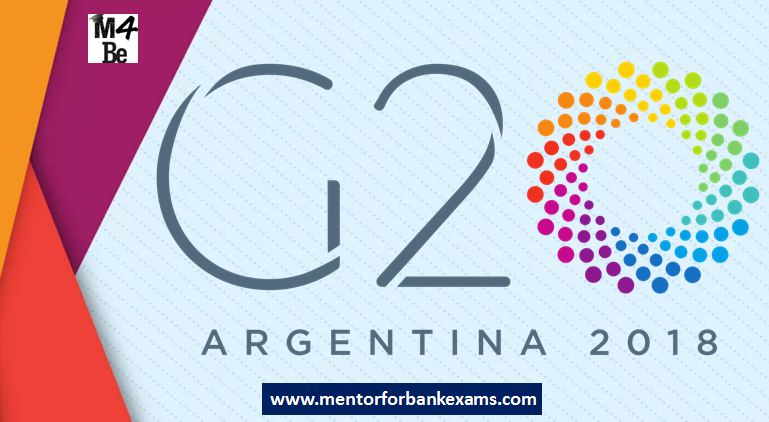 In this article, we will share the decisions made and issues discussed in G20 Summit which was held in Buenos Aires, Argentina. A lot of issues and concerns were taken care of in this year G20 Summit. We have compiled all the information in this short article where you will get the updates related to G20 Summit 2018.